The solanaceous alkaloids, represented by (-)-hyoscyamine, atropine [(-)-hyoscyamine], and scopolamine (hyoscine), are the forerunners of the class of antimuscarinic drugs. These alkaloids are found principally in henbane (Hyoscyamus niger), deadly nightshade (Atropa belladonna), and jimson weed (Datura stramonium). There are other alkaloids that are members of the solanaceous group (e.g., apoatropine, norat-ropine, belladonnine, tigloidine, meteloidine) but lack sufficient therapeutic value to be considered in this text. Crude drugs containing these alkaloids have been used since early times for their marked medicinal properties, which largely depend on inhibition of the parasympathetic nervous system and stimulation of the higher nervous centers. Belladonna, probably as a consequence of the weak local anesthetic activity of atropine, has been used topically for its analgesic effect on hemorrhoids, certain skin infections, and various itching dermatoses. Application of sufficient amounts of belladonna or its alkaloids results in mydriasis. Internally, the drug causes diminution of secretions, increases the heart rate (by depression of the vagus nerve), depresses the motility of the GI tract, and acts as an antispasmodic on various smooth muscles (ureter, bladder, and biliary tract). In addition, it directly stimulates the respiratory center. The multiplicity of actions exerted by the drug is looked on with some disfavor, because the physician seeking one type of response unavoidably also obtains the others. The action of scopolamine-containing drugs differs from those containing hyoscyamine and atropine in having no CNS stimulation; rather, a narcotic or sedative effect predominates. The use of this group of drugs is accompanied by a fairly high incidence of reactions because of individual idiosyncrasies; death from overdosage usually results from respiratory failure. A complete treatment of the pharmacology and uses of these drugs is not within the scope of this text. The introductory pages of this chapter briefly review some of the more pertinent points in connection with the major activities of these drug types. All of the solanaceous alkaloids are esters of the bicyclic aminoalcohol 3-hydroxytropane or of related amino-alcohols. The structural formulas that follow show the piperidine ring system in the commonly accepted chair conformation because this form has the lowest energy requirement. The alternate boat form can exist under certain conditions, however, because the energy barrier is not great. Inspection of the 3-hydroxytropane formula also indicates that even though there is no optical activity because of the plane of symmetry, two stereoisomeric forms (tropine and pseudotropine) can exist because of the rigidity imparted to the molecule through the ethylene chain across the 1,5 positions. In tropine, the axially oriented hydroxyl group, trans to the nitrogen bridge, is designated a, and the alternate cis equatorially oriented hydroxyl group is designated 3. The solanaceous alkaloids have been modified by preparing other esters of 3-a-tropanol or making a quaternary of the nitrogen in tropanol or scopine with a methyl halide. These compounds represent some of the initial attempts to separate the varied actions of atropine and scopolamine. Few aminoalcohols have been found that impart the same degree of neurotropic activity as that exhibited by the ester formed by combination of tropine with tropic acid. Similarly, the tropic acid portion is highly specific for the anticholinergic action, and substitution by other acids decreases neurotropic potency, although the musculotropic action may increase. 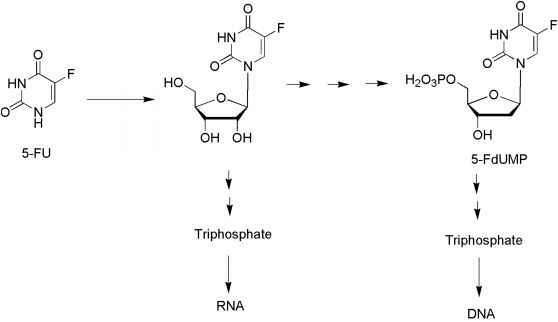 The earliest attempts to modify the atropine molecule retained the tropine portion and substituted various acids for tropic acid. Besides changing the acid residue, other changes have been directed toward the quaternization of the nitrogen. 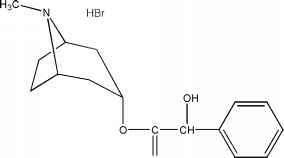 Examples of this type of compound are methscopolamine bromide, homatropine methylbromide, and anisotropine methylbromide. Quaternization of the tertiary amine produces variable effects in terms of increasing potency. Decreases in activity are apparent in comparing atropine with methylatropine (no longer used) and scopolamine with methscopolamine. Ariens et al.73 ascribed decreased activity, especially when the groups attached to nitrogen are larger than methyl, to a possible decrease in affinity for the anionic site on the cholinergic receptor. They attributed this decreased affinity to a combination of greater electron repulsion by such groups and greater steric interference to the approach of the cationic head to the anionic site. In general, quaternization reduces parasympathomimetic action much more than parasympatholytic action. This may be partially a result of the additional blocking at the parasympathetic ganglion induced by quaternization, which could offset the decreased affinity at the postganglionic site. However, quaternization increases the curariform activity of these alkaloids and aminoesters, a usual consequence of quater-nizing alkaloids. Another disadvantage in converting an al-kaloidal base to the quaternary form is that the quaternized base is absorbed more poorly through the intestinal wall, so that the activity becomes erratic and, in some instances, unpredictable. Bases (such as alkaloids) are absorbed through the lipoidal gut wall only in the dissociated form, which can be expected to exist for a tertiary base, in the small intestine. Quaternary nitrogen bases cannot revert to an undisso-ciated form, even in basic media and, presumably, may have difficulty passing through the gut wall. Since quaternary compounds can be absorbed, other less efficient mechanisms for absorption probably prevail. Quaternary ammonium compounds combine reversibly with endogenous substances in the gut, such as mucin, to form neutral ion-pair complexes. These complexes penetrate the lipid membrane by passive diffusion. Atropine, USP. Atropine is the tropine ester of racemic tropic acid and is optically inactive. It possibly occurs naturally in various Solanaceae, although some claim, with justification, that whatever atropine is isolated from natural sources results from racemization of (—)-hyoscyamine during the isolation process. Conventional methods of alkaloid isolation are used to obtain a crude mixture of atropine and hyoscyamine from the plant material. This crude mixture is racemized to atropine by refluxing in chloroform or by treatment with cold dilute alkali. Because the racemization process makes atropine, an official limit is set on the hyoscyamine content by restricting atropine to a maximum levorotation under specified conditions.